Installation and performance. 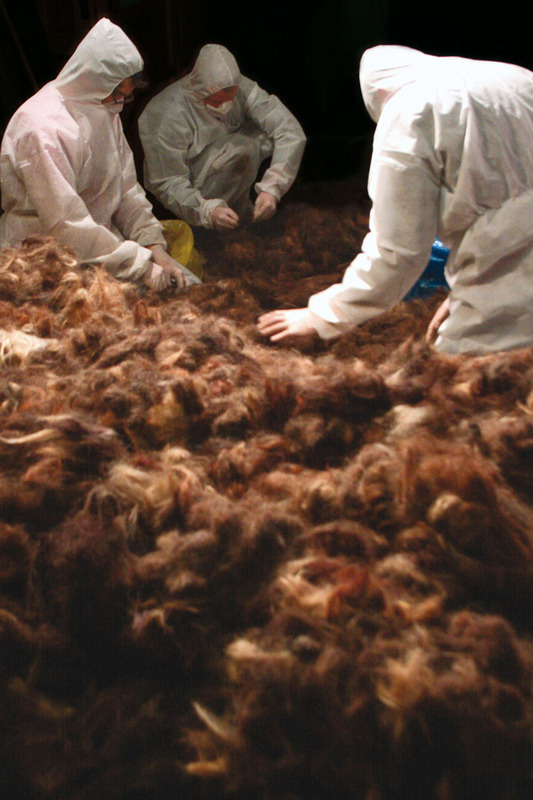 Carpet of human hair. 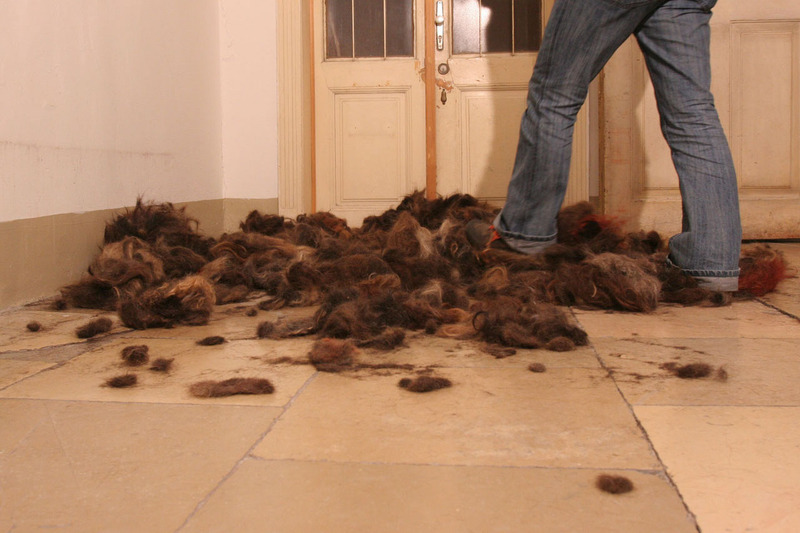 Hair from salons all over the city is collected, washed and graces the floors of the exhibition rooms. 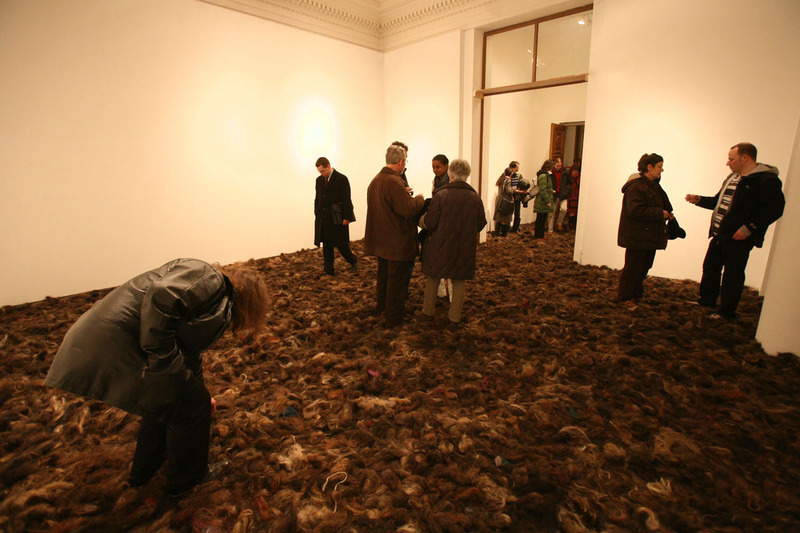 Visitors are invited to walk over this carpet of human hair and contribute to its becoming even more matted. Fieldwork. Installation. Solo exhibition “taste it!”. Künstlerhaus, Vienna (AT). Künstlerhaus, Vienna (AT). 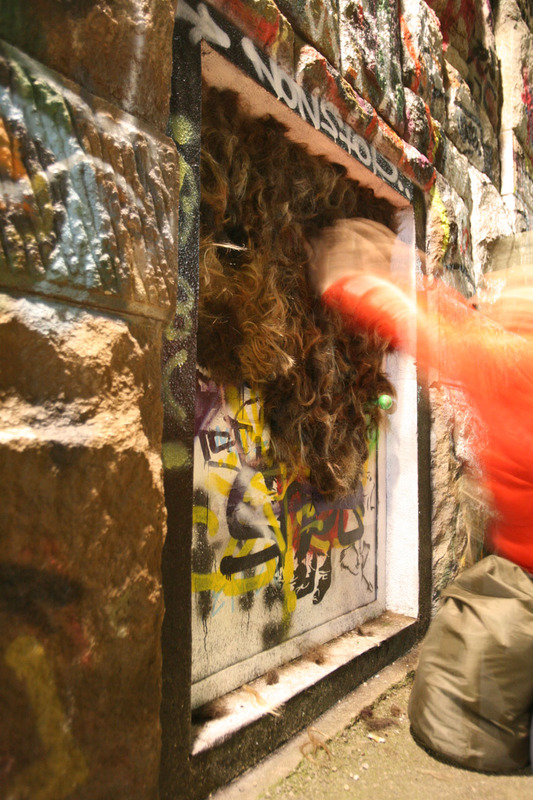 Videostill: Assocreation. 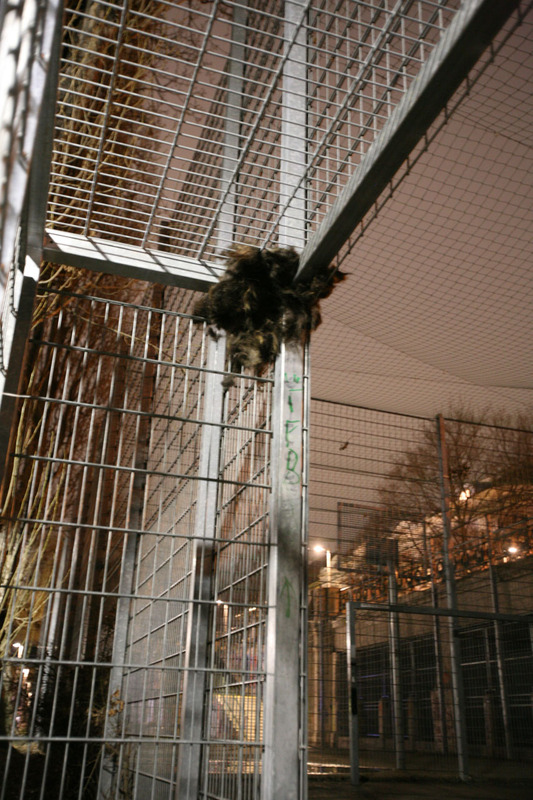 Fieldwork – Pubic Hair Corners. Action and Installation. Meidling, Vienna (AT). Fieldwork. Performance and video. Atelier Assocreation, Vienna (AT) / Rebell-TV (www.rebell.tv). Atelier Assocreation, Vienna (AT) / Rebell-TV (www.rebell.tv). Photo: Assocreation.